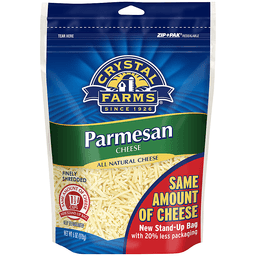 Per 1/4 Cup: 110 calories; 5 g sat fat (27% DV); 170 mg sodium (7% DV); 0 g total sugars. 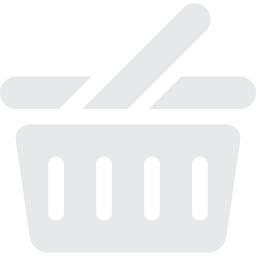 Great Products: At a price you'll love that's essential everyday. Our goal is to provide the products your family wants, at a substantial savings versus comparable brands. We're so confident that you'll love essential everyday, we stand behind our products with a 100% satisfaction guarantee. 100% Quality Guaranteed: Like it or let us make it right. That's our quality promise. essentialeveryday.com. Traditionally ripened for over one year. 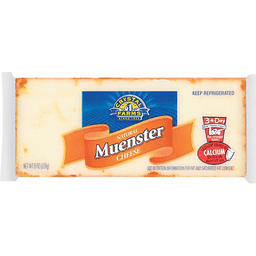 Traditionally ripened for at least one year, this Dutch Gouda has a firm texture and rich, tangy flavor. 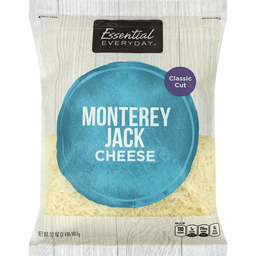 Perfect for cheese boards and delicious on pasta dishes. Pairs well with orchard fruits and nuts. You may notice small white protein crystals. 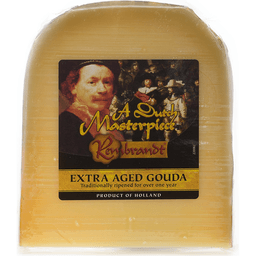 These indicate Rembrandt's natural aging and complement its smooth, full aged flavor. www.janafoods.com. Product of Holland.